No, they don’t wear no scrubs…. Reference books are all well and good of course, but eventually they become outdated–particularly in a field like medicine, where new discoveries are made all the time. When John Watson was born, many physicians were still be trained via apprenticeship, and many of the remedies available were insufficient, or even dangerous. By the time he would likely have been ready to retire, he and his colleagues had access to anaesthesia, could perform many operations successfully, and understood the importance of sanitary procedures. Diseases once thought to be attributable to bodily “humours” were now understood to be the product of bacteria or viruses, and disease prevention measures, such as sanitary sewers, hand washing, and vaccinations were becoming more commonplace. Pharmacology had advanced far beyond calomel and laudanum, with attempts manufacturing safer pain medications and, in 1929, the break-through drug, penicillin. Passionate and responsible physician that he was, John Watson kept up his continuing medical education by reading which prestigious publication? 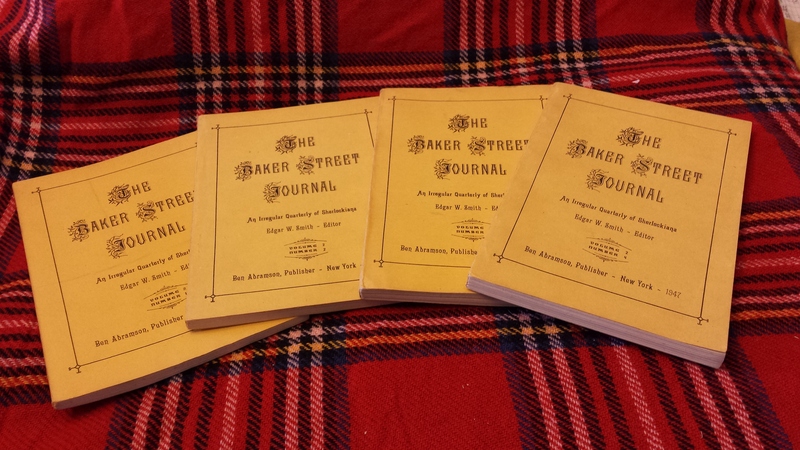 As Sherlockians, we too must keep abreast of research in our field, and one of the most reliable ways to do that is through the Baker Street Journal. I was, frankly, astounded at last year’s response to a set of old issues, and so am very pleased to be able to offer another this year. This is a complete set of Volume 2, 1947, 4 issues. They are in fair condition; two are in great shape, while two display some sort of moisture damage on the spine. For those of you who are sensitive to such things, they do smell like musty old paper, but there’s no mold. A casual glance-through revealed no writing inside,so I unfortunately cannot tell you to whom they belonged. 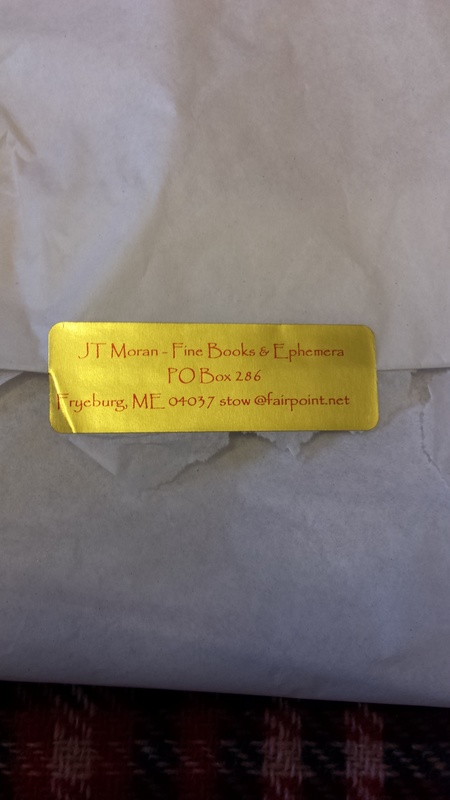 I was a little intrigued, however, by the seller’s last name…. As always, to enter the drawing, send your answer to me via FaceBook PM, Twitter DM, or blog comment. Full rules can be found on the blog entry for 20 December. Happy Researching!